"I love the Filipino people." American Idol alum David Archuleta was clearly excited to be back in Manila, speaking from the heart to the audience full of media personalities days before his benefit concert for Mabuhay Deseret Foundation's 30th anniversary. "I don’t know how many times I’ve been here [in the Philippines], but it’s nice to be able to give back to a country that has given so much to me throughout my career." During the presscon, David shared that it's been 10 years since the release of his debut album, David Archuleta. 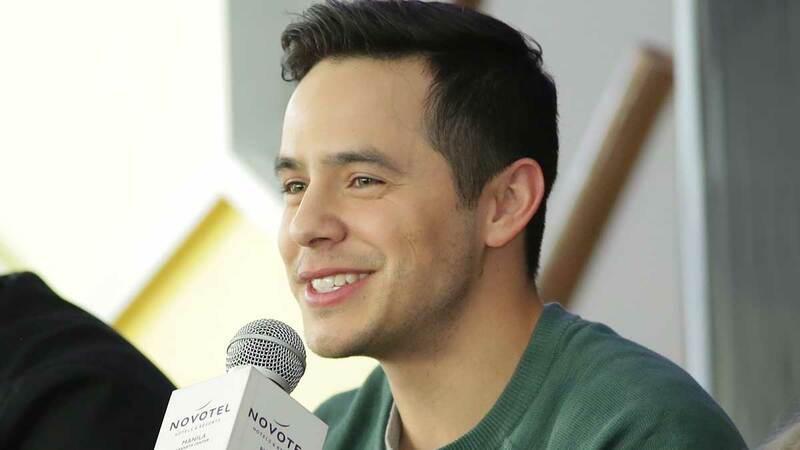 Ever since his big break on the American Idol stage, David has been a frequent visitor to our country, and his appreciation for his Filipino fans is evident in his smile and body language when explaining why he keeps coming back. "I love singing in other languages, it helps you connect with more people. Music already kind of goes beyond the borders of language, but when you can sing in someone's spoken language it's just a very special connection. Now, Spanish is special to me because my mom is from Central America, so I'm half Honduran. I grew up with [Spanish], so my family’s been asking me for years now, 'When are you going to release Spanish music?' I thought this would be a good time to do it. It'll be the first of I hope many more Spanish projects. I would love to collaborate with more Spanish artists as well, so we’ll see how that goes. Maybe, I don’t know if in 2019, but maybe in 2020. I've already started writing in Spanish as well." Speaking of singing in other languages, who can forget that David released an OPM album? Fresh off his appearance on TV5's miniserye Nandito Ako, his 2012 album Forevermore was full of covers of classic Filipino tunes, including Ogie Alcasid's "Nandito Ako." When asked if he remembered any of his lines from the miniserye, David said, "Wala naman akong ginagawang masama sa iyo," amidst laughter and applause from the captive audience. But how did David come across Filipino music, you may ask? Well, in a twist of fate, it was Asia's Songbird that caught his attention. "Even before I knew she was Filipino I always loved Regine Velasquez. She became a great motivator for me to push myself vocally when I came across her on YouTube. Then I found out she was from the Philippines. That's what introduced me to Filipino music, Filipino talent...Ogie [Alcasid] invited me to come sing with him and Regine one time, we got to sing 'Nandito Ako' live, which was awesome." If you want to hear more from David, the singer will be performing songs from his Christmas album (and possibly some old faves!) on Friday, November 16, at the New Frontier Theater (formerly known as the Kia Theater) to support local charity Mabuhay Deseret Foundation, which works to provide free surgeries to correct conditions such as cataracts, cleft lip, and clubfoot. Local talents Anton Antenorcruz, Mikee Misalucha, and JBK will also be performing. Based on his performance of new single "Christmas Every Day," David seems to know his audience well. When told that Filipinos start preparing for Christmas on September 1, the singer laughed and shared, "I just love Christmas, so I guess I’m like a lot of the Philippines. I listen to Christmas music all year." Well, so do we, David. SO. DO. WE.